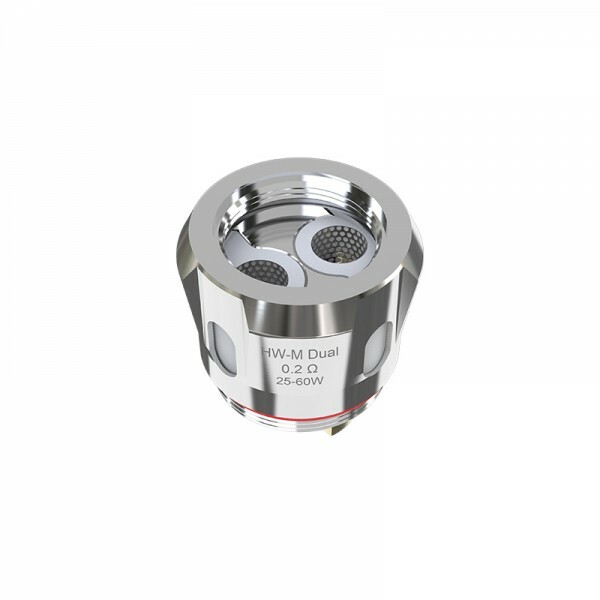 Eleaf HW-M Dual Coil has two cylinders inside, constructed of dual mesh coils. It features 0.2ohm resistance, rated for 25-60W, bringing you nice flavor and huge clouds. 2. Please don't vape until e-liquid nearly runs out. Otherwise, the coils inside will be damaged.